Optical Signal Trader is new binary options trading software which is listed as scam software. This app is developed by some shady scammers to swallow all of your money which you will deposit as initial deposit. 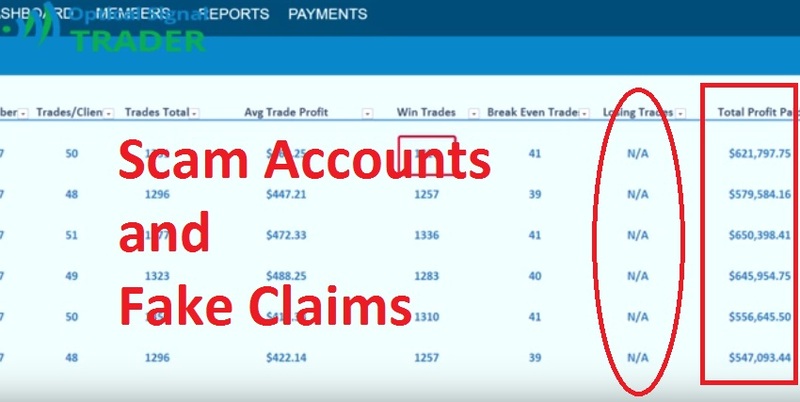 It is important that should know about all the loopholes in the Optical Signal Trader software which will ultimately help to avoid these scams. So spare some minutes and read this Optical Signal Trader review till end to know more about this software. Here in this review, I will be showing you some evidence & proof on Optical Signal Trader which is created by two people one guy named as Mr. Dominic Shepherd and another guy name is George Larson. New comers in the world of trading usually failed to differentiate between fake and genuine websites so they easily fall into their traps. So do a little favor to yourself by just going through this entire article and save yourself from scammers. Mr. Dominic Shepherd calls himself as the founder of “Live the Dream Life Club” and owner of the Optical Signal Trader. He also claimed that he founded it long back in the year 2014 and before he was involved in the Optical Signal Trader system it seemed he had a successful carrier in Affiliate Marketing, Google Bank, Google, ClickBank, EBay partners and Amazon associates. According to Mr. Dominic Shepherd the man behind the creation of the system is George Larson who pretends to be someone he is not, Dominic introduced him as a retired physics teacher and also made many bogus claims like he wrote some article for New Science Magazine etc. Before writing this Optical Signal Trader review, I did some research to know more about Dominic Shepherd and George Larson on Google and in almost every social networking site such as Facebook, Twitter and Instagram, but I did not found anything about them. As a matter of fact these people are just simply trying to hide their identity and does not want go get exposed at any cost. 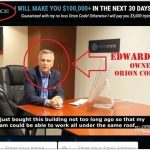 These people are simply trying to steal people money in the name of binary options trading software. They cannot be trusted at all. Promotional video presentation of Optical Signal Trader scam looks so fake from the very beginning as you can see it all includes fantasy drama. 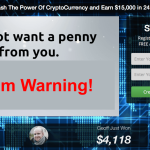 Mr. Dominic shepherd makes many fake promises that you will be earning $3000 dollars every day and will be able to live your wildest dream soon by becoming a rich guy just like him. He also claimed that after he founded the “Live the Dream Life Project” earlier in the year, he has earned at least $37 million dollars. 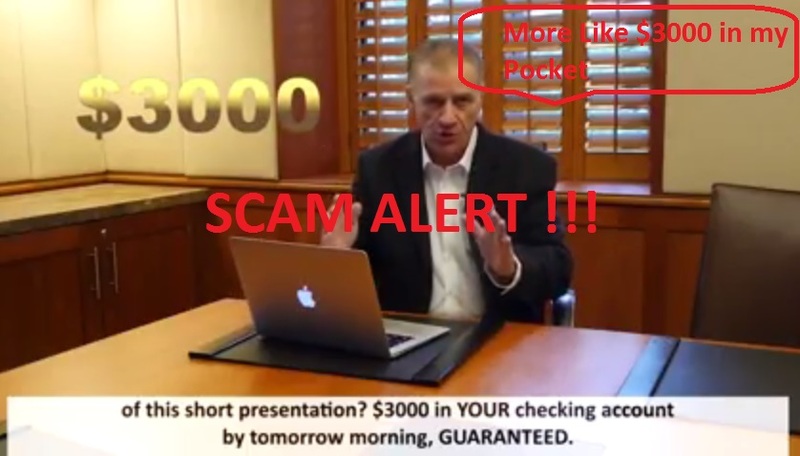 Whole pitch video of Optical Signal Trader is just based on fake claims and promises. Undoubtedly, they tried their best to lure newbie traders by showing luxurious houses, amazing vacation trips and huge bank balance. Optical Signal Trader website does not mention or provide any licensed broker platforms. They simply tell you that after creating your account with the Optical Signal Trader you will be introduced to a very genuine and professional broker. The main problem in the website is that it does not have any valid brokers which we can actually trust. It is very risky to trade on such system. It is quite shocking that the Optical Signal Trader has no testimonials or any user reviews. All of these situations make us hard to believe in investing our money on such suspicious binary options trading software. If it has made so many people millionaire(s), then why there is no success story over web about this system. Now let us talk about the lame profits results which are just displayed on the website. The website has got that fancy look and live profits results displayed on it, but as a matter of fact, there is no guarantee if these are profits are for real. We have found something very interesting that the profits were made in a weekend whereas the fact is that forex and commodity market remained closed during weekends. If you compare it with some other genuine sites you will figure out that Optical Signal trader software does not have the live chat support for the investor. Any trader having doubts or any other issues will not be able to contact. These are some of the reasons which indicate towards the behavior of a fake website. The people behind the system are simply trying to hide and trying the possible way to conceal their true identity. Moreover, there is not even single losing trade in whole week which is again very fishy. It’s not possible for any auto-trader to have 100% success rate. The people behind Optical Signal Trader scam seemed to go out of limits as they are simply making up stories. Simply for the purpose of getting attraction from the depositors, they are displaying fake news that their system was featured in well-known newspapers and financial magazines like New York Times, BBC and Bloomberg. All of these things look so suspicious and when I did some investigation on it what I found it there no such news featured on the well-known magazines like Bloomberg and news agency like BBC and The New York times. It has nothing to do with Optical Signal Trader system all of these are been faked by editing just to catch people attention. According to Mr. Dominic Shepherd, there were 374 members of the “Live the Dream Life Project” in 2014, who claimed to earn an amount of between $175 and $350 per day. How are you supposed to believe him and make money with the Optical Signal Trader which is created and became public only few months ago this year? This is because the website is just a fake which requires no further introduction. When I did some more investigation by checking the age of the Optical Signal Trader domain in Who.is, I found that the date of registration of the Optical Trader domain is 2016-10-06. 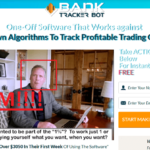 Optical Signal Trader Review Verdict: It is Dangerous Scam Software! Instead Join SnapCash Binary With Proven Results! After doing proper investigation about Optical Signal Trader Scam, I came to conclusion that Optical Signal Trader software is a very dangerous scam and I can not recommend this system to anyone. There is nothing real in this trading app, they have shown everything in their pitch video except working of their system. 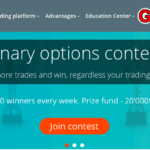 Moreover, risking your hard earned money in this skeptical system does not make any sense when there are other binary options trading softwares out there which are genuine one and can be completely trusted. Optical Signal Trader is designed or creator only for one sole purpose that is stealing all of your invested money. They will simply run away with your money and later on they will just disappear like a ghost and you will not be able to get your money back at any cost. Optical Signal Trader is not going to make you rich they will just leave you empty hand. I hope this Optical Signal Trader review helped you in taking right decision. 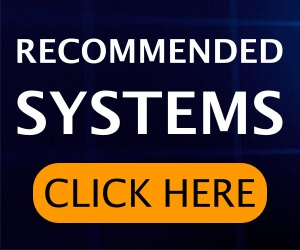 Don’t forget to share your opinions about this system in the comments section below.